Discussion in 'Prony Brake' started by Jerry Christiansen, Dec 27, 2009. Hey thanks Ned for standing up for me, but no need. I know I'm liked because I have proof! Sorry to burst your bubble but you only have 7 likes right now. Your not seriously likeable yet. Don't worry I like you. I am sure your likes will increase. Those trophy points are kind of cool! I have not studied up on them too much Josh, but I have more trophy points than you do! I think we need to set up some new kind of trophy for you Josh! I am not sure what it would be, but there has to be some kind of special trophy for "Danger Boy". Put your thinking caps on everyone! 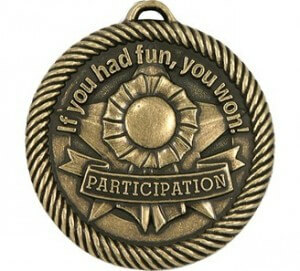 We do congratulate your efforts Josh Here is your participation medal.